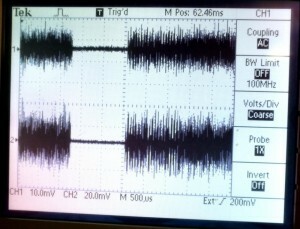 The oscilloscope shows the synchronised NULL symbols of two DAB transmission signals generated using the ODR-mmbTools. Opendigitalradio develops a set of software tools called ODR-mmbTools that can be used to transmit DAB and DAB+. These tools can be composed together to form an entirely free and open-source DAB+ transmission chain. They are used in several trials and also 24/7 production broadcasts. To give some examples: in Switzerland, the LIMUS project is using these tools; they are used by a cable operator; in the UK, the Small Scale DAB Trial runs with them; SDN uses the tools in France; other projects known to use the tools are running in Denmark and Germany. In addition to the ODR-mmbTools, there are some small helper tools, like etisnoop, and a set of scripts to simplify encoding of webstreams. Welle.io is a QT based SDR DAB+ receiver based on sdr-j with high-DPI and touch display support. Qt-DAB and derived tools are open-source SDR DAB and DAB+ receivers with a QT GUI that can use the RTL-SDR USB dongles. Formerly known as SDR-J. QIRX is a C# SDR receiver that can show some information about the DAB signal. sdrdab is a C++ DAB receiver library that comes with a CLI and GUI tool. rtl-dab is a command-line open source receiver that decodes FIC data. 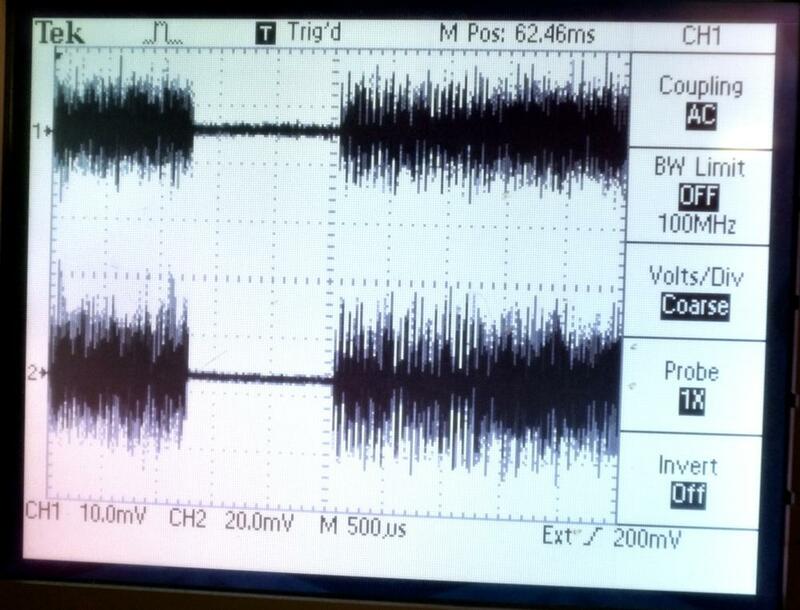 dabtools can receive from RTLSDR and write an ETI file. It combines well with dablin and etisnoop. dablin plays a DAB/DAB+ audio service – either from a received live transmission or from ETI files. gr-dab is a set of GNURadio modules for DAB reception. XPADxpert (freeware, not open source) can analyse the Programme Associated Data (PAD) information.